Wild and carefree – that perfectly describes this stunning member of the Lily family. 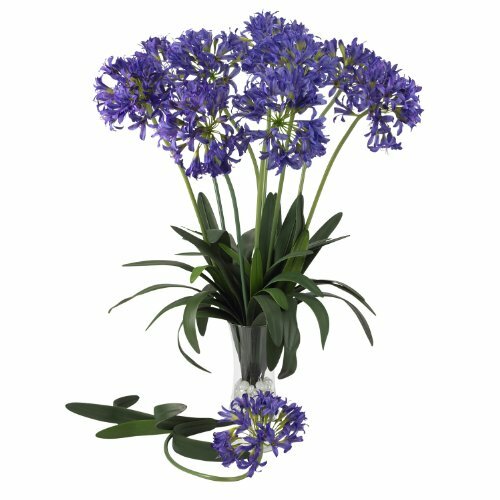 This African Lily is a perfect silk reproduction of one of the most interesting flowers in nature. The bottom of each individual stem sports lush leaves that cascade up and out, from which this flower's bloom literally "pops" in a wild array of soft petals. Display several in a vase for the full effect of this wonderful specimen. Sold in a set of twelve stems.